I have always had a fascination with the master fly tyers of the Catskills. When I visited the Catskill Fly Fishing Center and museum a few years ago I was in fly tyers heaven. Of all of the really wonderful things they have on display, the actual fly tying desks of Darbee's stood out. 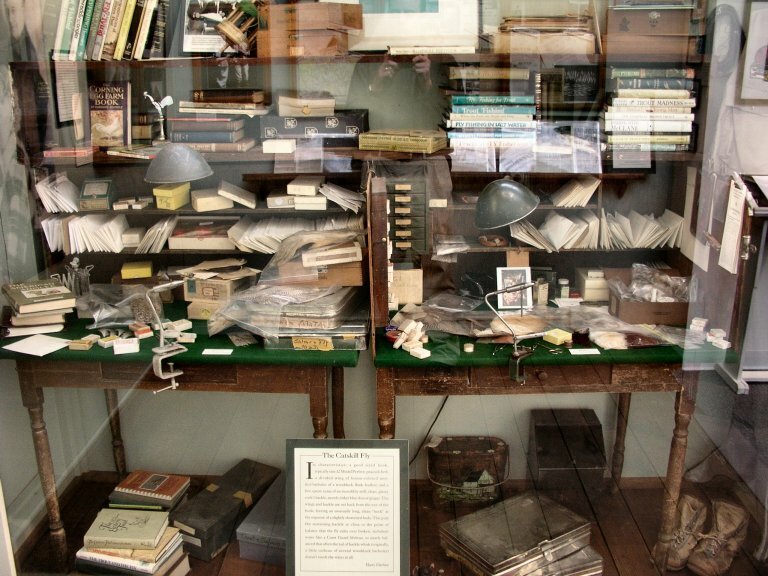 Harry and Elsie's fly tying desks are on display at the Catskill Fly Fishing Museum in New York. This photo was taken inside the museum. Walt Dette at his desk. This photo was scanned from the wonderful Dette book, "The Dette's - A Catskill Legend" by Eric Leiser. This is a masterfully written book jam-packed with rich history of the Catskills and techniques that Walt and Winnie Dette perfected and passed along to their daughter, Mary Dette. 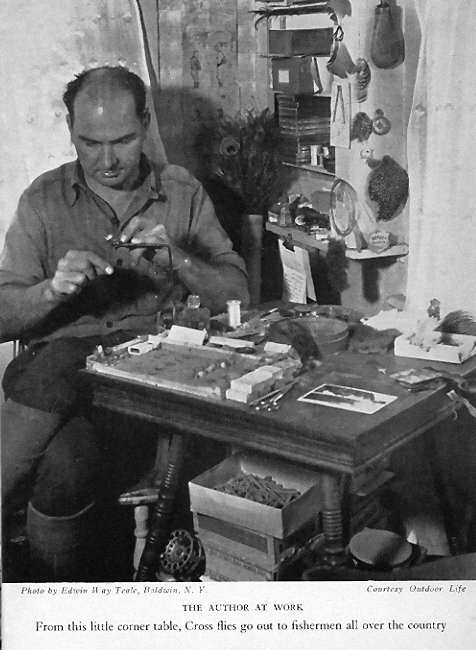 My all-time favorite fly tyer is Reuben Cross. 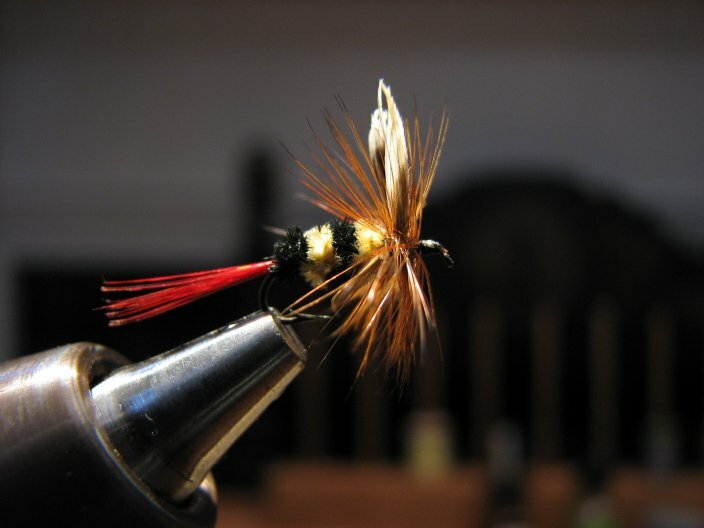 He is perhaps the finest Catskill fly tyer that ever lived. His flies without a doubt are extremely hard to obtain. After about 10 years of looking for a Cross fly, asking about Cross flies and making life-long friends in new places was lucky enough to acquire one a couple of years ago. It is a McGinty. 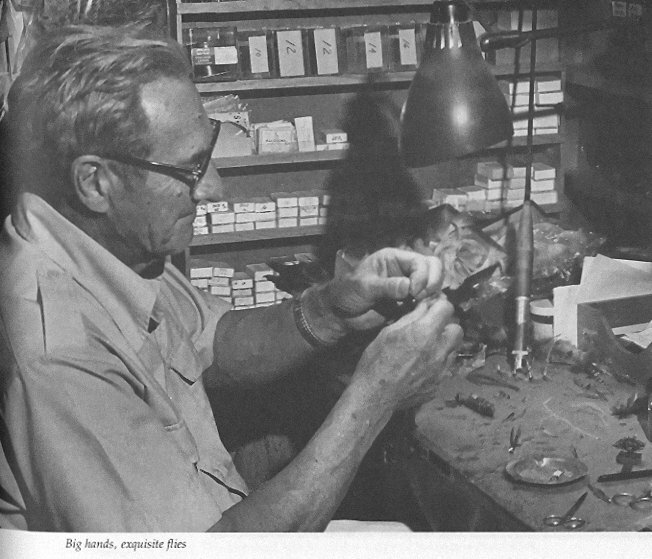 Here is another scanned photograph from his book, "Tying American Trout Lures". 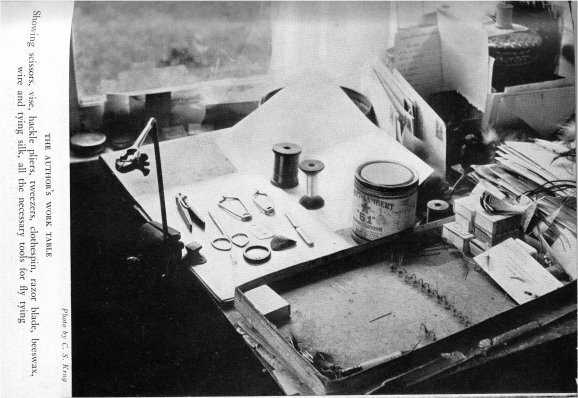 From this humble desk came some of the finest Catskill flies ever tied.